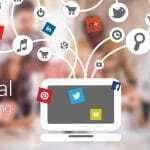 How to Track dental Digital Marketing Campaigns Effectively – Internet has opened a million doors for dentists to reach genuine and prospective patients. Gone are those days when people used to use old offline methods to attract people. Now as the time is changing and people are switching towards online methods it has become easy to reach more of the people. Online dental marketing is very effective and proving beneficial for the dentists to improve their business. Now you can not only advertise but track everything including online reviews for dentist or any demographics through tools. Surely online dental marketing is very helpful in enhancing the business. But along with this it is very important to track the marketing campaigns otherwise you will face the outbreaks caused by the negative commentary and other reasons. So team WebHopers is going to share one of the best methods to track online marketing campaigns for dentists. Why is tracking important in online dental marketing campaigns? Tracking plays a very important role in improving the ranks of the dental services. Tracking also enables you to know that if your online dental marketing campaigns are working accordingly or not. This helps in knowing that how effective is your marketing campaign. It takes a lot of effort and time to develop a online marketing campaign so to make your efforts worth tracking is important. 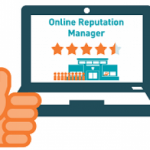 What is the importance of an online digital marketing campaign for dentists? Now with the passing days and years more and more people are connecting to the internet to meet their needs. Internet has made it really easy to buy, sell or purchase anything from anywhere. So in this technology oriented world it is important for the dentists to come up and show their presence. This is a world which now runs on connected mobile devices and computers with search engines in them. You cannot deny the fact that offline marketing was brilliant in its own ways but digital marketing is something which people are now pondering upon. Online marketing is the easiest and convenient way to attract more of the patients every other day. The list of the advantages of online dental marketing campaigns is endless. Dentists are reaching to the new heights with the help of the online marketing. Some of the advantages are mentioned below in the list. This enables them to attract more and more people. Dentists can connect to the patients personally through this. Personal image enhancement and self promotion is possible through online marketing. Not only to the dentists but it is very helpful for other people to connect to the dentists. Dentists can easily improve and enhance their business. As more and more people are into internet these days so it is very easy for dentists to connect through them. How to track online dental marketing campaigns? As important it is to start the online dental marketing campaign tracking of them is important too. Tracking helps to check the effectiveness of the marketing campaign which you are running. Below mentioned are some of ideas on how to track these campaigns. You can use proven website analytics this will help you to know the number of viewers that viewed your campaign. Social media is the gigantic source to enhance and to track the campaigns. 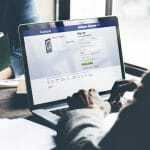 You can track the campaigns on facebook, twitter, ppc, sites and many other social portals through their ads account. You can track the ranks and also the reviews. This will help you to improve the business. Stay active on the social media and other portals to get the instant results on your efforts. Be regular in improving the SEO only this way your ranks and image will take up the hike in less time. There are several online tools available tools which you can use them to track dental digital marketing campaigns. 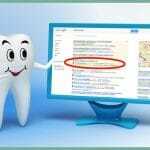 Google Webmasters to track your dental marketing SEO Campaigns. 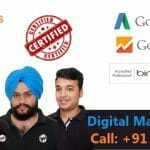 Google AdWords Ads Managing tool to track all types of PPC ad campaigns for your dental paid advertisements. Semrush paid tools to track complete online dental marketing campaigns. 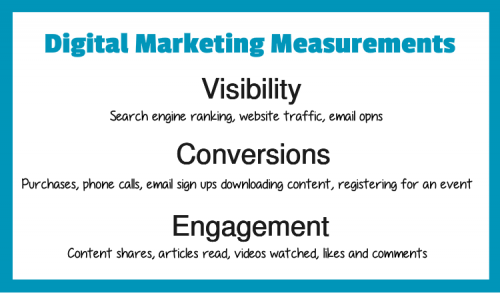 How effective is your online dental marketing campaigns Tracking be? Online dental marketing campaigns are very important to increase, enhance and to earn more profit easily. But to check the effectiveness of your campaign tracking is very important. To make your marketing campaign effective you have to constantly improve the SEO and stay active with the sharing on the social media. This is the only way to get better response from the people. So if you have been looking for the ways to track your online dental marketing campaigns then I hope this might have helped you in some way or the other. Tracking is really very important and now that you know how to do it you can easily improve the business.